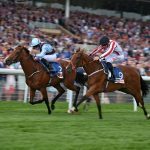 Royal Ascot provided its usual mix of drama, emotion and excitement with five days of top-class Flat racing. The Gold Cup again produced one of the finishes of the meeting, with three of Europe’s leading performers battling it out for the staying crown. Irish raider Torcedor appeared to have stolen a march turning for home before French-trained Vazirabad was produced with what looked like a winning challenge, only for Newmarket-based Stradivarius and Frankie Dettori to assert close to home and take the spoils. Order Of St George, successful in 2016 and runner-up to Big Orange 12 months ago, could finish only fourth, emphasising the quality of this year’s renewal. It’s no surprise that this famous 2m4f contest is – like staying races generally – so popular with racing fans. Horses that return year after year and display such courage over stamina-sapping distances gain a big following – and rightly so. Torcedor and Vazirabad, both six-year-old geldings, will hopefully be around for years to come, though the latter may need a more forgiving surface if he is to be seen at the Royal Meeting again. Stradivarius would seemingly be destined for a career at stud, as a four-year-old entire by Derby and Arc hero Sea The Stars. It would be lovely to think that in future, Gold Cup winners could be sired by Bjorn Nielsen’s homebred – but will he get his opportunity with Flat mares? It’s far from certain. 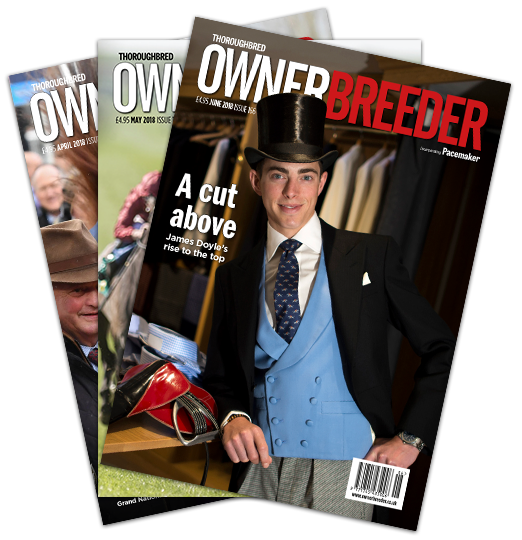 A horse that has shown enough stamina to win a Gold Cup is, sadly, a turn-off to many commercial breeders, even if he has the speed, class and versatility to win at shorter distances. Given the chance, there’s no reason why Stradivarius could not produce top-class runners on the Flat, though he is undoubtedly an attractive prospect for the National Hunt sector. The exploits of such as Kayf Tara and, more recently, Yeats suggest we are more likely to see the progeny of Stradivarius at the Cheltenham Festival than Royal Ascot. Which is a shame. The Chesham Stakes may not have the profile of any of the Group 1s at Royal Ascot but that will not make the victory of Arthur Kitt in this year’s race any less special for Andrew Black and his Chasemore Farm team. A son of his talented but ill-fated filly Ceiling Kitty, Black, who co-founded the betting exchange Betfair, tells Emma Berry how Arthur Kitt came close to death during the birth that claimed the life of his mother, and explains how his bloodstock operation has evolved from a private passion into a successful commercial enterprise. In Arthur Kitt, a son of Derby winner Camelot, Black could yet have another exciting staying prospect in the mould of Black Panther, that tremendously tough and talented galloper he owned in partnership with Michael Owen. Middleham-based Karl Burke did not manage to hit the bullseye with his select team of Royal Ascot runners this year but in three-year-old Laurens, the upwardly mobile trainer houses one of the best fillies in Europe. In a brilliant and frank interview with Tim Richards, Burke explains how he almost left Britain after a one-year ban threatened to derail his training career and why his family was such a huge help in turning things around. Now with 130 horses including three-time Group 1 winner Laurens, Burke is looking to the future and set to continue his progress up the trainers’ table.